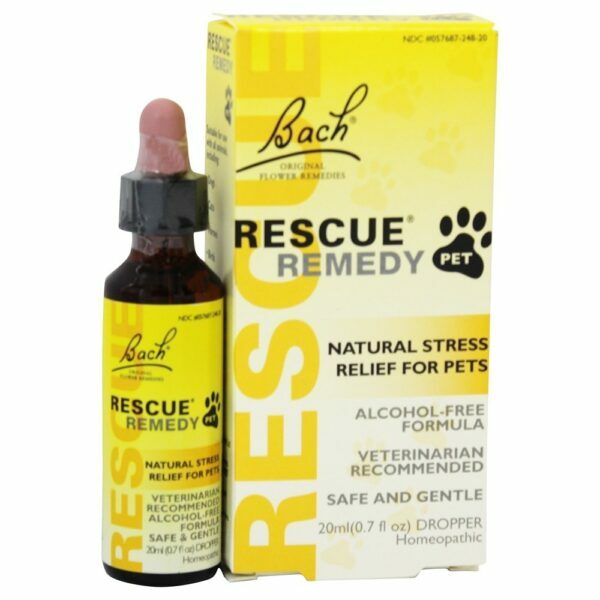 Bach Original Flower Remedies Rescue Remedy Pet is a combination remedy for crisis use. The full system of 38 Bach Original Flower Remedies can help with any kind of emotional imbalance. If symptoms persist, please consult a veterinarian. For years, Rescue Remedy Pet has been recommended by veterinarians for animals to help calm pers in all kinds of stressful situations. This alcohol-free formulation is suitable for use with all animals, including dogs, cats, horses and birds. 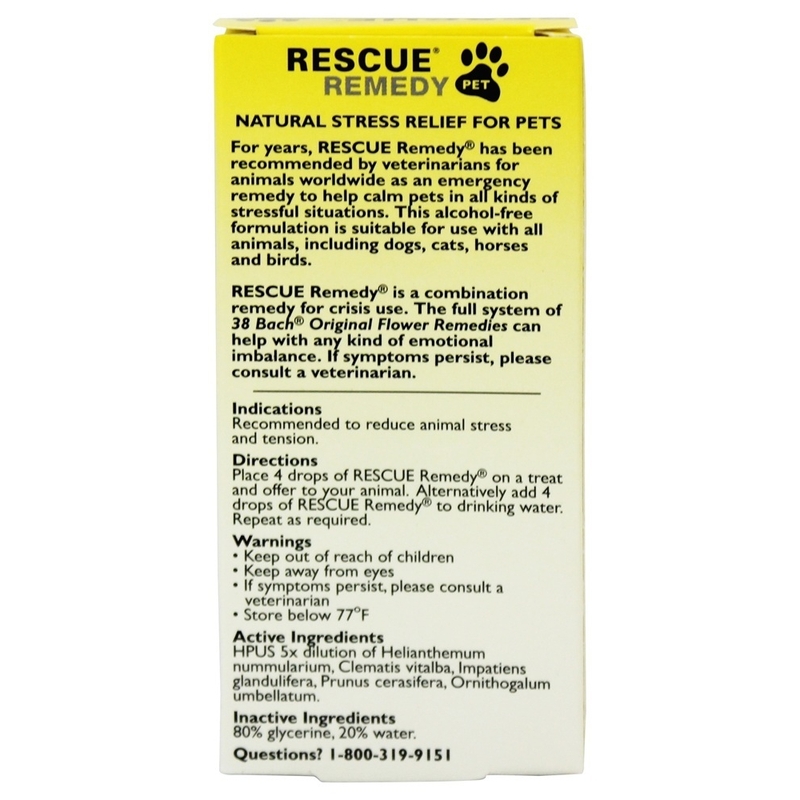 Place 4 drops of RESCURE Remedy on a treat and offer to your animal. Alternatively add 4 drops of RESCUE Remedy to drinking water. Repeat as required. Keep out of reach of children.Keep away from eyes.If symptoms persist, please consult a veterinarian.Store below 77°F.